Major trauma is the leading cause of death in people under the age of 45 and as such is a serious public health problem. The NHS Operating Framework for England 2011-12 reiterated a commitment to ensure the implementation of regional trauma networks across England to include all providers of trauma care, from pre-hospital care through to rehabilitation. 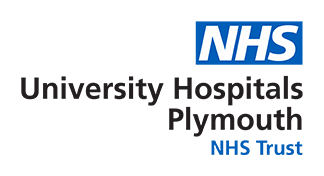 The Major Trauma Centre (MTC) is part of the Peninsula Trauma Network (PTN). It is a specialist hospital responsible for the care of the most severely injured patients involved in major trauma. It provides 24/7 emergency access to consultant-delivered care for a wide range of specialist clinical services and expertise. It provides all the major specialist services relevant to the care of Major Trauma, i.e. general surgery, emergency medicine, vascular, orthopaedic, plastic, spinal, maxillofacial, cardiothoracic and neurological surgery and interventional radiology. The service is designed to deliver high quality specialist care to patients of all ages starting from admission to the MTC, with full assessment and diagnostics in the emergency department. This may be followed by operative treatment and an episode in the critical care unit and ward. Rehabilitation is required for a number of patients, and this rehabilitation will start in the MTC and continue through specialist rehabilitation units or locally through a variety of commissioned providers defined in the network. The Peninsula is a largely rural region with very few centres with a large urban population. The cities of Plymouth and Exeter are the largest two centres and their populations are only 258,000 and 123,400 respectively. The overall population of the region is approximately 1.67million. This can increase by an extra 1million people in the peak holiday season. The population demographics are slightly atypical, in that over 30% of the population is over 60; the TARN 2013-14 data showed that 60% of major trauma patients have a fall under 2m as their mechanism of injury.